There is "Sakurai" where you walk from JR Chuo Line Mitaka Station for more than 10 minutes. There is not Mitaka City but Musashino City. 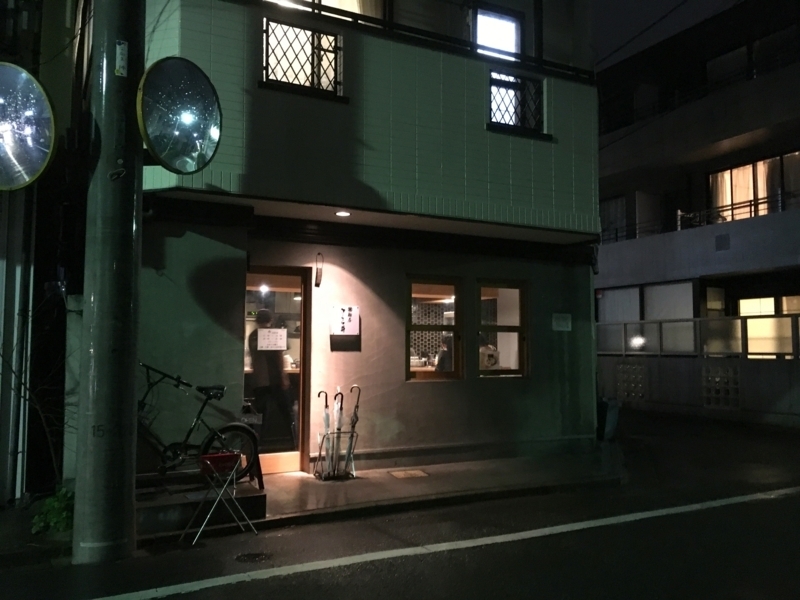 The shop is in a quiet residential area, and at the weekend, there are always rows of people looking for ramen. One day, I tried visiting on weekdays night, avoiding people crowding. 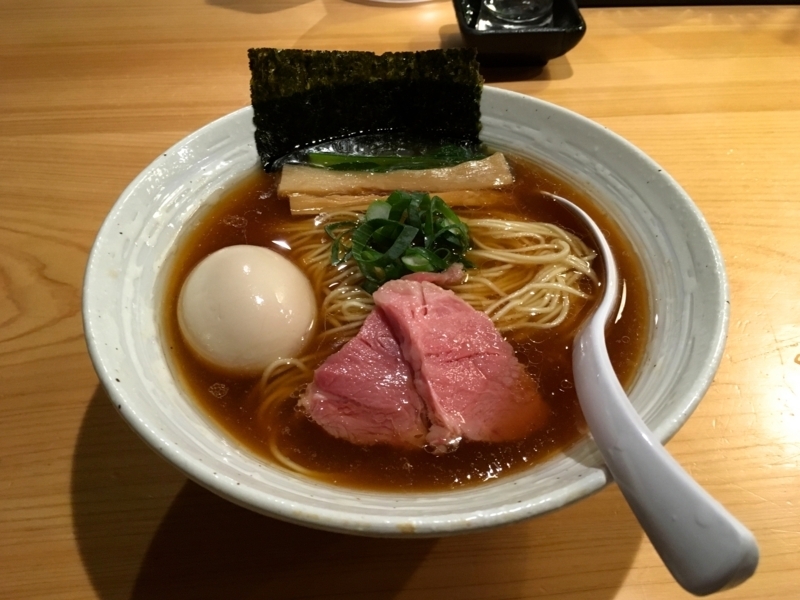 With weekday evenings, I enjoyed drinking slowly and I was able to eat ramen. First we got a "Sei-Kyou" liquor. 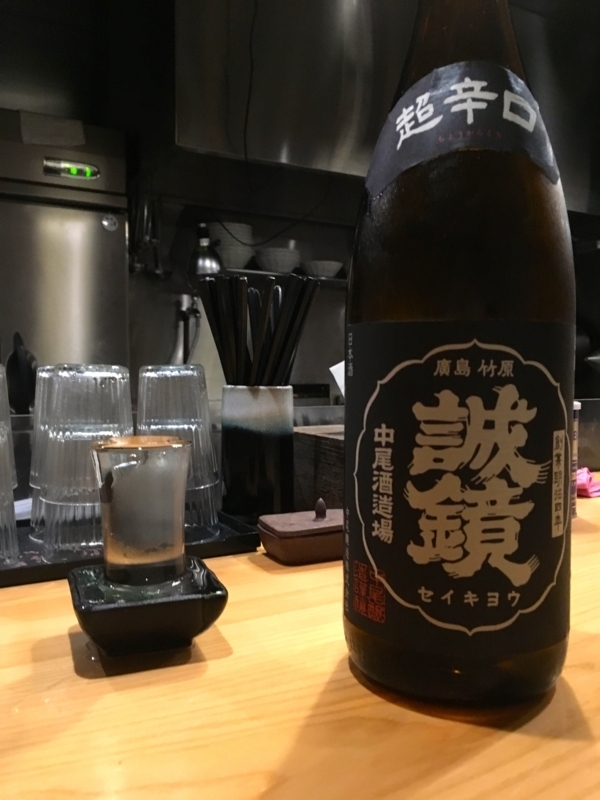 It was made by a sake brewery in Hiroshima Prefecture. This was quite dry and fits my taste. Next I got ramen. I chose a sauce ramen with Ajitama added. It is still delicious as usual. 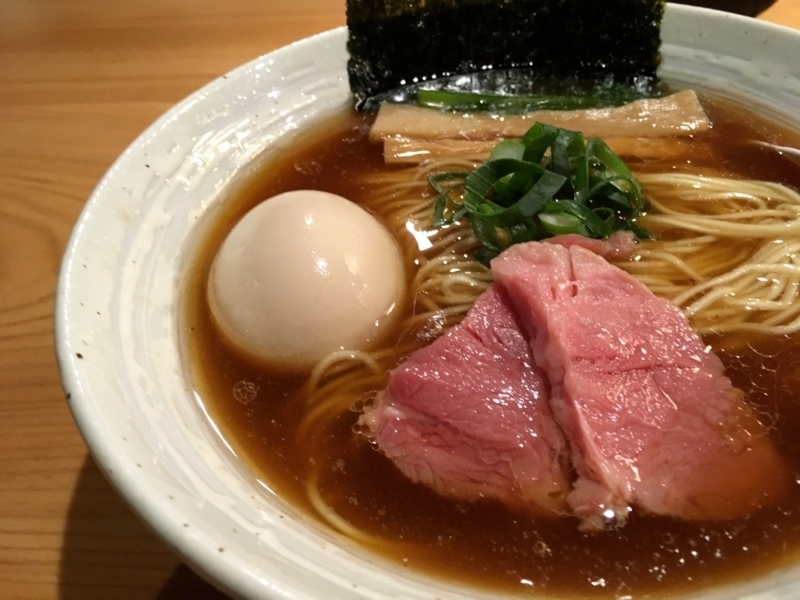 Recent ramen trends in Tokyo seems like "Tanrei-Kei". The soup is light in taste, boiled out of pigs, chickens and seafood. It is a traditional style with a clear hue. 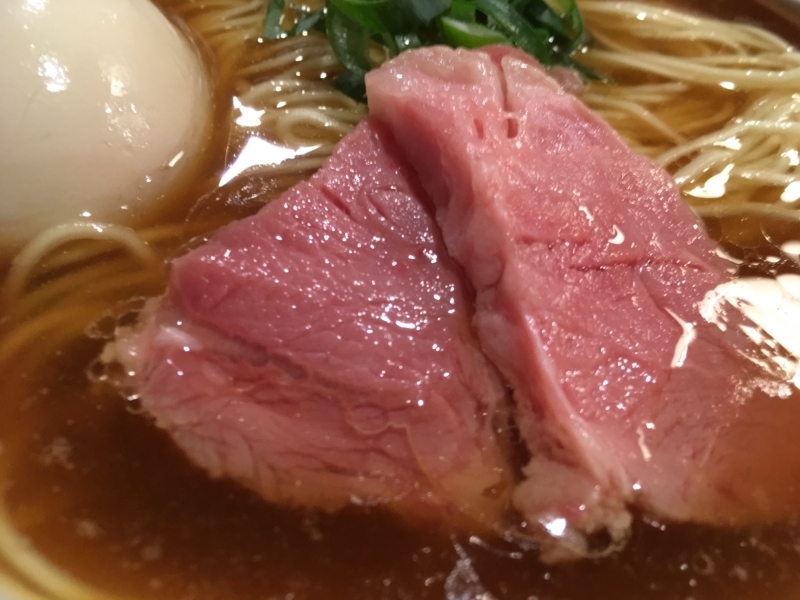 However, as a topping, for example, using semi-rare meat, it looks contemporary. 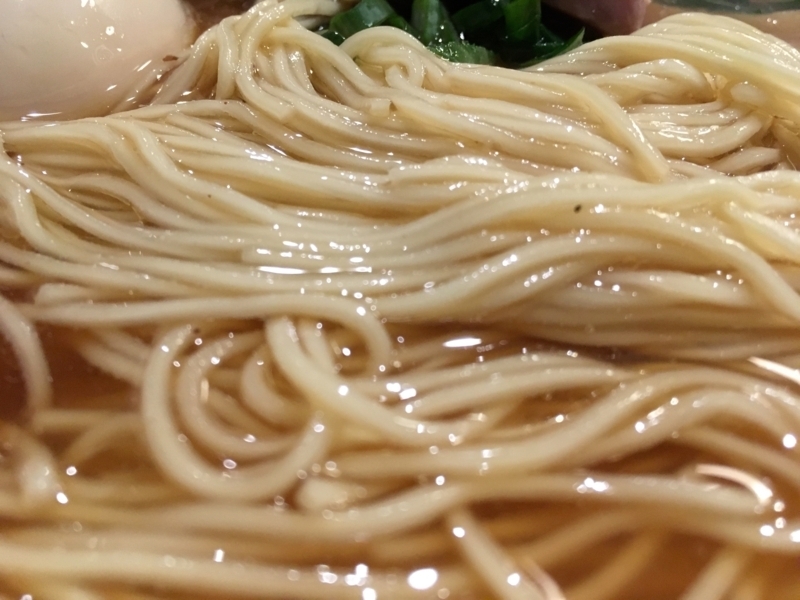 This ramen may be typical of that. 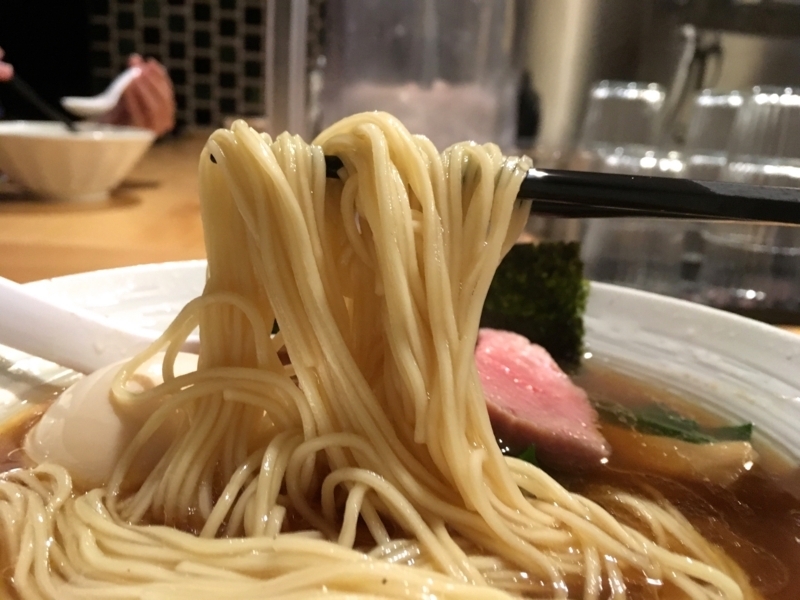 If there is a subtle difference in this ramen, I think that it is the freshness of soy sauce and the flavor of shiitake mushrooms. Needless to say the taste of a rich chicken. Indeed the soup is elegant. Noodle is as elegant as soup. It has moderate softness and blends the taste of soup. 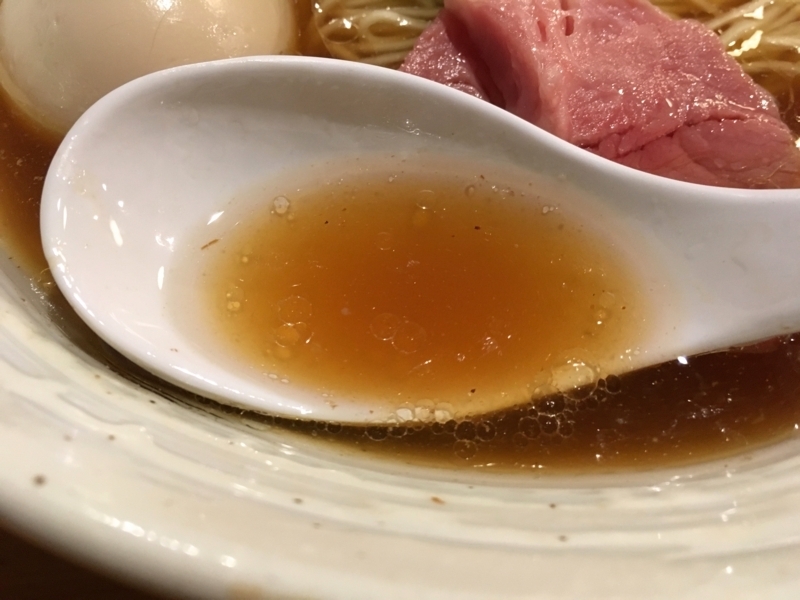 It keeps the use of "Kansui" as much as possible, and has less moisture. So the flavor is natural. Semi-rare meat is also wonderful. The whole is soft, fine-grained, tasty, it fits very well with sake. 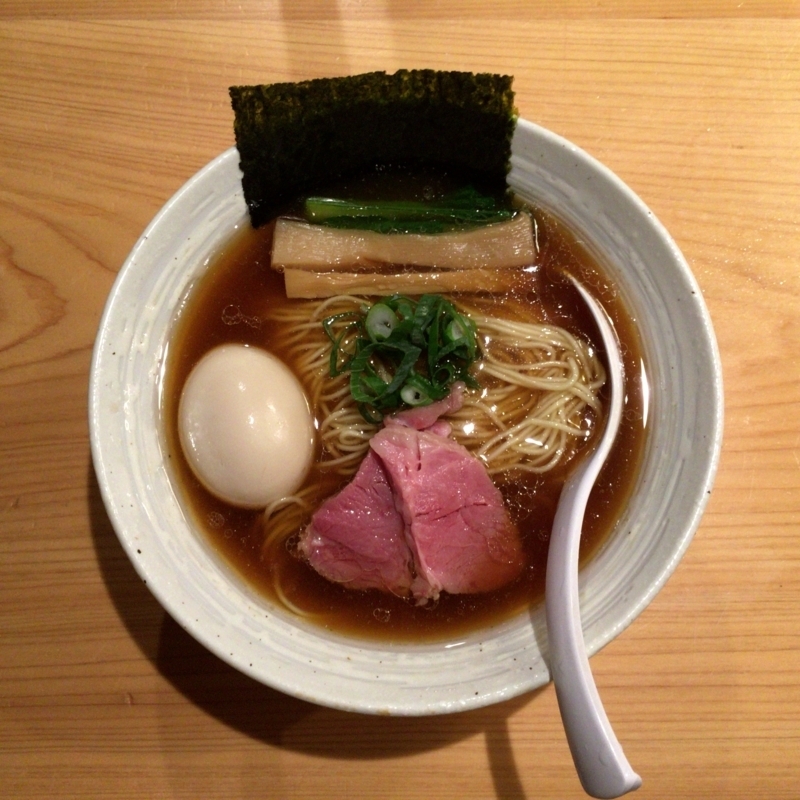 In Tokyo's ramen, I think that it is the top class "Chayu". And Ajitama is delicious too. 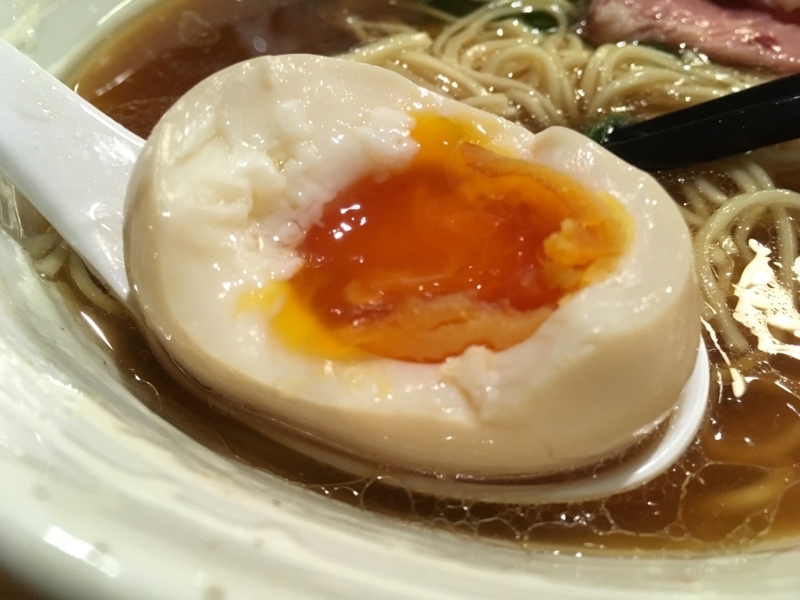 The dense taste of egg yolk is very impressive. I will come again. I will come again and again. It is a very attractive shop. If you have the opportunity to come to Mitaka, this shop is also highly recommended. It's in a place I do not understand a bit. Please do!